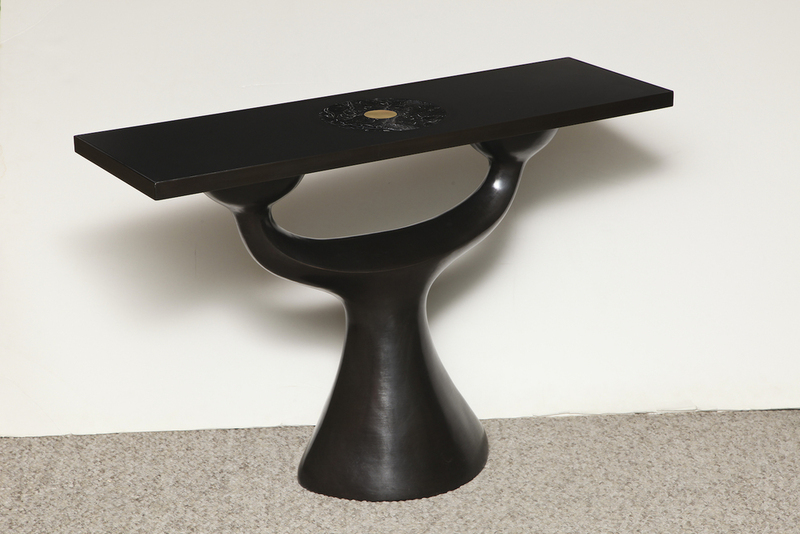 Sculptural bronze base with flared bottom. Rectangular top of black stone with an inset center circle of black marble & bronze. 12-15 weeks lead time. Edition of 8 with 4 artist proofs. Signed & numbered by the artist. *This piece was created specifically for Donzella 20th Century and will be sold exclusively through us. The last thumbnail is an image of the console, shot by Francois Halard for American Vogue, Sept. 2010.
h. 28.75" w. 41.5" d. 13"